Coal mining should come to an end in order to prevent further climate change! 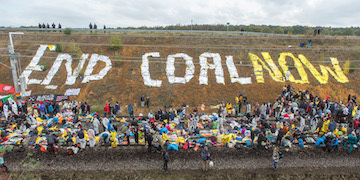 Nevertheless, the German government supports coal power stations and prolongs generation power from the biggest coal mine of Europe; Garweiler mine near Cologne. There are even plants to cut more forests in the Hambacher Forst. This needs to stop! So what can you do?! We will inform you in less than an hour about the possibilties for you to join. Together we can make a difference! We will explain practicalities about the action plans and we will share some of our own experiences of last year. Join this evening to get some information and ask all the question you have! We hope to see you there. Let's show our solidarity and concerns about all these coal emissions. Let's fight for our planet!